Hello there! Long time no see. I've been settling into working a 9.30-5.30 day, and as it's already dark when I get back home, spending the evening on my laptop after a whole day of staring at a screen is not really ideal. But I've really missed blogging, and it means a lot to me, so I need to force myself to get back into the swing of things, even if that does mean going to bed a little later than 10.30 (I'm too old before my time!). A couple of weeks ago I got these Levi 501's from Brag Vintage, and to be honest I initially had no clue what to wear with them. The high-waisted 'mom' jeans are something that I'd had my eye on for a while, always envying the girls that could wear them without looking anything like a throwback from the 90's or an American mum, but then I thought 'What Would Alexa Do?'. 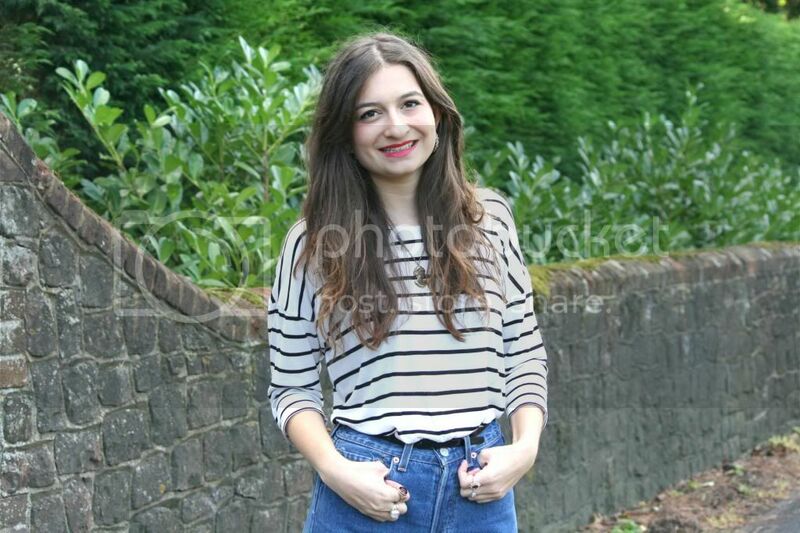 Of course, throw on a stripy t-shirt and be done with it! I now actually love these jeans, especially as they are flatteringly high-waisted, fitted and loose in all the right places, if you know what I mean. I wore them with my new Topshop boots (which are pretty much stuck to my feet) for good measure, to give me that little bit of extra height, and hopefully I can just about pull them off. Anyway, is everyone else as addicted to the new Haim album as I am?! God, how I wish I could be the fourth member of their effortlessly cool, long-haired club. We can all dream, right? Thank you for sticking around this month, I so badly want to keep this blog up, so keep your eyes peeled! These jeans looking so nice on you! Such a causal yet amazing look! Love the high waisters and the boots are great! 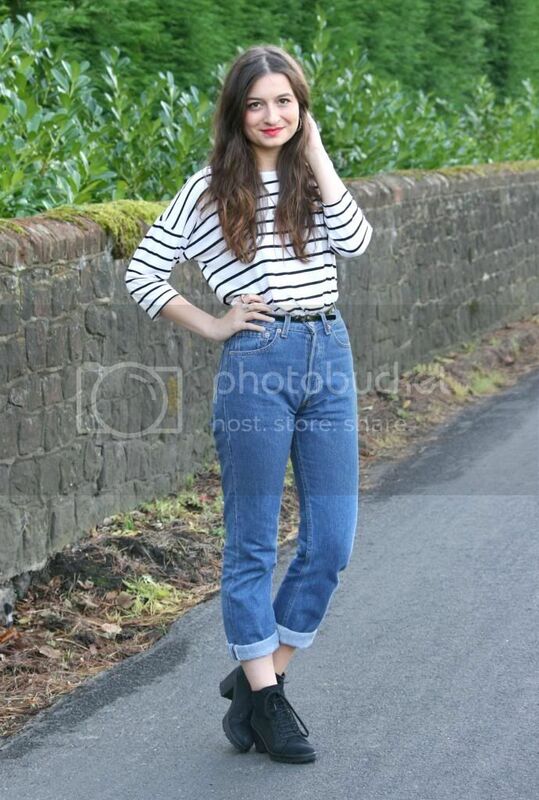 You suit those jeans so much, looking lovely! Love your turn up jeans, the colour is the perfect shade! Love the outfit, the jeans suit you completely! Love the outfit! The jeans look great on you. I love love love those jeans. They definitely fit perfectly, and I love them with the striped shirt. I'm fairly addicted to the Haim album as well, they're so effortlessly cool. gorgeous and effortless outfit! 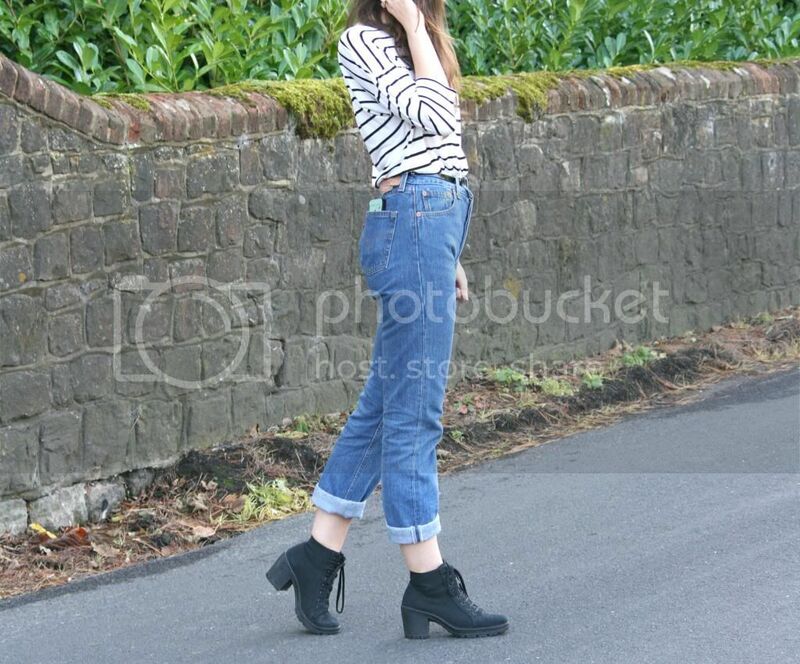 check out my Haim related post.. 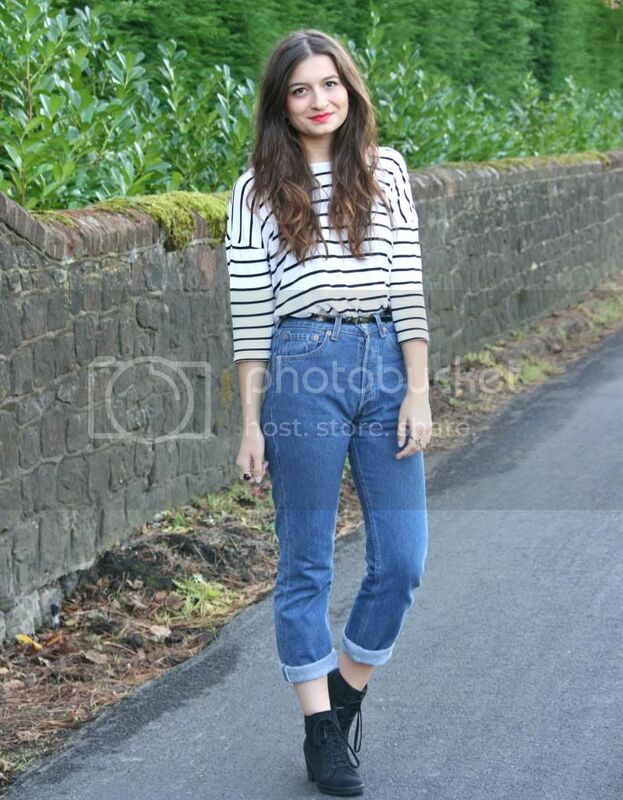 I've just come across your blog, loving your outfit posts! 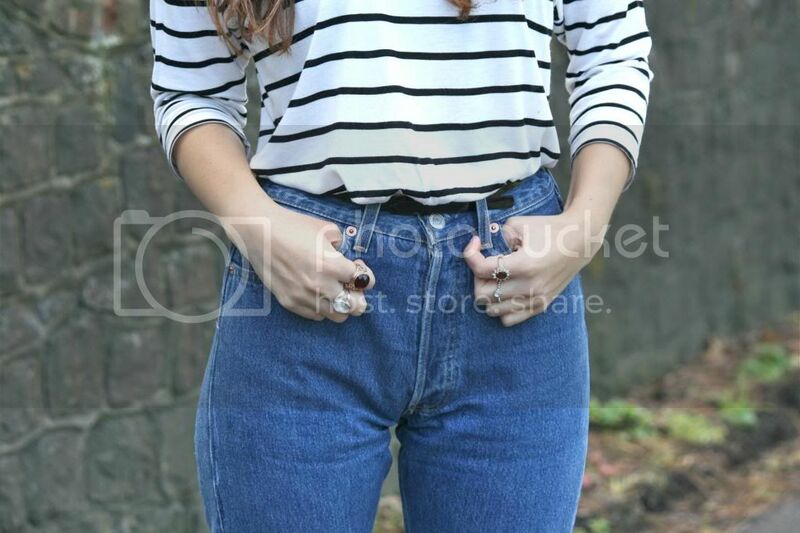 Those jeans are lush, dying to get my hands on a pair of high-waisted vintage style jeans.